June was a buy month for Seaparkers at parkrun. Ian Clelland, running very consistently at present, secured 1st male at Carrickfergus on two consecutive weeks 20th & 26th, Ian Hunter took 3rd male on his June parkrun at Carrickfergus in a PB time of 19:36. The Carrickfergus team welcomed Charlie McCormick back after his injury earlier in the year. Charlie put in a strong comeback performance on 27th June. 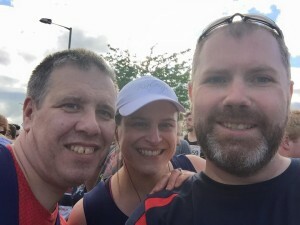 Warren Cosgrove continued to improve on his parkrun time and bagged himself 29:33 on 27th June. After a long spell in the desert Bobbie Irvine decided to run at home in June, completing 3 runs at Carrickfergus. 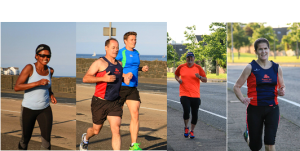 Other members attending Carrickfergus parkrun in June included Mark Welsh, Lynda Shannon, Gareth Hamill, Phil Poag and Tony Barclay. 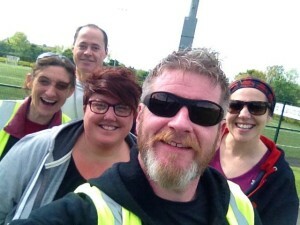 Volunteers at parkrun 2nd June – me thinks they need more work! Lots of travelling going on as well in June to Portrush. – Ian Cleland on 13th June who took 4th place at Portrush. 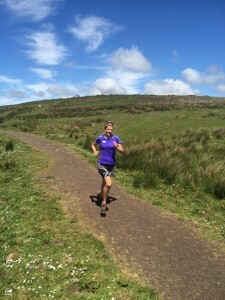 Gillian Barnhill dropped in to Carigavon on her way to a much longer run on that day (28th) and managed to secure 3rd lady! Robert Murray completed all 4 parkruns in June, one in Carrickfergus and the others at Antrim, Queen’s and Victoria. 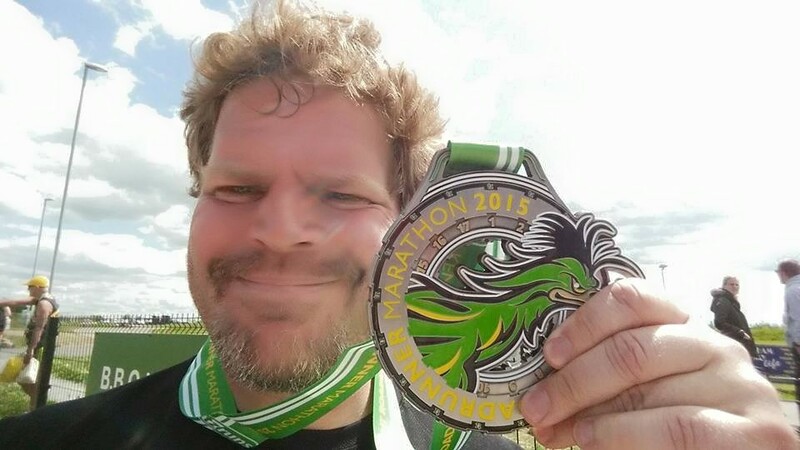 Colin McCrumm also completed all 4 parkruns in June with two away runs at Queen’s and Victoria. Karen McMaster chalked up her 50th parkrun in June and completed all 4 parkruns at 4 different locations! – Antrim, Carrickfergus, Queen’s and Waterworks. All that travelling Karen 🙂 Ruth Hawkins joined the tourist trail and managed her fastest parkrun time yet (24:55) in Antrim and Sara Johnston got her best time away from home as well with 28:47 at Portrush. Trevor Lamb – we missed you! – you did both your June runs at Ormeau. Finally Gavin Irvine completed his June run at Kirkcaldy and The Rice family went on a wee parkrun trip to Queen’s. 30 members turned out on the hottest night of the year so far for the annual Club 5 mile Handicap race at Sloefield Road / Trooper’s Lane. Top finishes from Ellie, Robert, Peter, David and Caroline. Well done everyone! 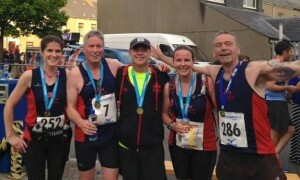 Great results at Ards Half for Seapark runners. Well done Gillian Barnhill, who won the Mourne Way Marathon two weeks ago and was second lady home at North Belfast Divis 10 mile run today despite taking a little tumble around mile 3 . With the road racing season well under way Seapark AC athletes travelled to Lisburn on Wednesday to participate in the annual Lisburn half marathon and 10k disciplines. This half marathon is the 5th in the annual Pure Running Half Marathon series with Seapark AC athletes featuring well. 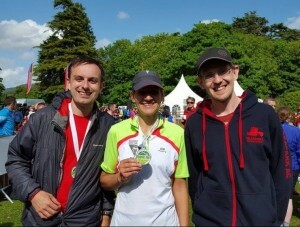 Seapark AC runners from veteran endurance performers to newcomers participated. Featured results include another terrific performance from Ian Clelland finishing the half in another sub 1.30 in a time of 1.28. Brendan Rice, 1.38, Gillian Cordner and Gary Connolly 1.40, Caroline Salters 1.43, Gillian Strudwick 1.52 and another PB performance from Allan Grant in a time of 1.54. Lots of PB’s and top results from the Seapark Liverpool trip. There was success again this weekend for Seapark AC’s Gillian Barnhill (centre) at the 26Extreme Mourne Way Marathon on Saturday. Gillian was the first lady over the line in a time of 4:17. The Mourne Way route takes athletes off road, crossing rough terrain, through the foothills of the mountains. Ian Cleland and Jonathan Beattie ran the half marathon distance in times of 1:40 and 1:50 respectively. Richard Hethrington competed in his first ever sprint triathlon in Camlough in an impressive time of 1:26. 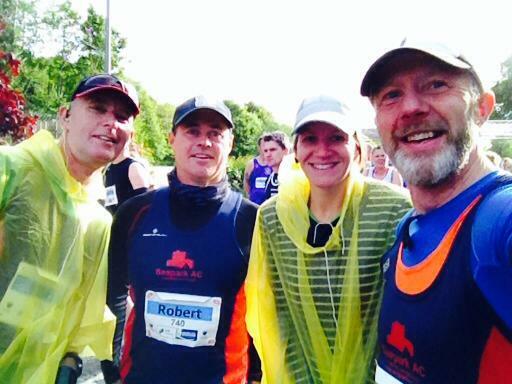 The highlight of the weekend for many runners including 6 from Seapark AC was the Derry Marathon. It was also a very special event for the Chairman of Seapark, Tony Barclay. 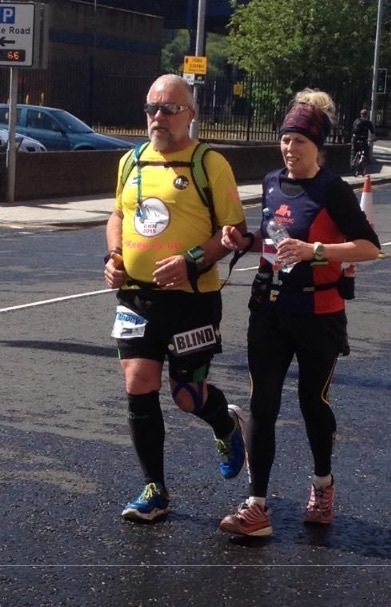 Tony is registered blind and completed this, his first marathon, ably assisted by fellow Seaparker and Guide runner Vivien Davidson. Times: Gillian Barnhill 3.27, Bobbie Irvine 3.39, Gary Connolly 3.51, Robert Murray 4.01, Tony Barclay 5.19, Vivien Davidson 5.19. Times: Gillian Barnhill 3.27, Bobbie Irvine 3.39, Gary Connolly 3.51, Robert Murray 4.01, Tony Barclay 5.19, Vivien Davidson 5.19. 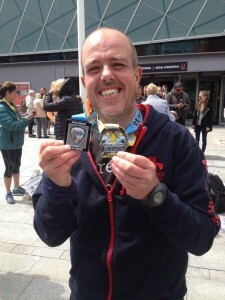 Neill Harper completed the Road Runner marathon in Kent in a time of 5.03.